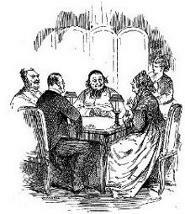 As can be seen by reading the whist history, Whist card game has was born a long time ago. In all this time, whist appeared in literature, as well as in movies, and many treatise on whist strategy were written. In this section, we gather articles, curiosities, strategies about whist and its latest incarnation: online whist.